Seeking spirituality through the contemplation of nature, extending the bounds of trees, mountains, hills and crashing waves beyond just a beautiful view, the German artist, Caspar David Friedrich, is celebrated as one of the greatest Romantic painters of the 19th century. Renown for changing the face of landscape painting with his intense and emotional focus on nature, the Romantic painter was born on September 5, 1774, in Greifswald in northern Germany. 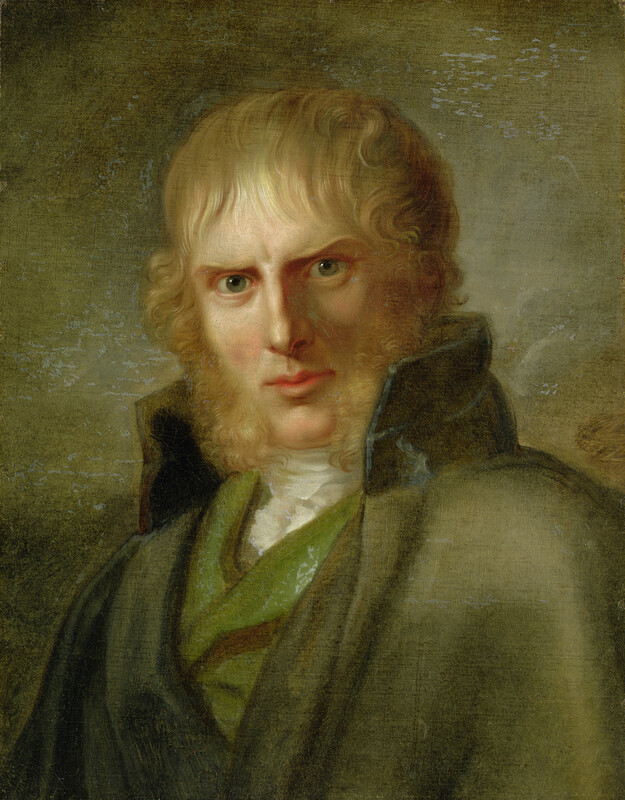 He studied in Copenhagen until 1798 before settling in Dresden. At the Academy of Copenhagen, Friedrich experimented with sculpture but after moving to Dresden he continued to experiment with other mediums and for a brief period he dabbled in printmaking, specifically etching and he even tried wood-cutting. He moved on to work in ink, watercolor, and sepias. In 1797, he started working in oil with his painting, “Landscape with Temple Ruins”. In 1805, Friedrich won the Weimar competition which gained him some recognition. Afterwards, he exhibited his first major painting, “The Tetschen Alter” or “The Cross in the Mountains” in 1808. In 1810, he was elected member of Berlin Academy but never received full professorship, believing his political standpoint (anti-French/ Napoleon) held him back. In 1818, Friedrich married Caroline Bommer, and this union kindled a brief newness in the artist's style. The normally sullen artist pursued a new sense of happiness and started adding more figures to his landscapes. This change drew the attention of the Russian royal family who provides a loyal patronage to the artist for several years. As a result of a stroke he suffered in 1835, Friedrich lost his ability to paint. Unable to work in oil, he had limited himself to sepia and ink. In this period his style changed once again and his happiness soon faded as he became obsessed with the afterlife and death. Gradually his work fell from popularity and he lost his patronage. The painting “Landscape with Grave Coffin and Owl” executed in this period. As Germany moved towards modernization, Friedrich's contemplative depictions of stillness were seen as the products of a bygone age. Living in poverty, Friedrich died on May 7, 1840, in Dresden, and was buried in Dresden's Trinitatis-Friedhof (Trinity Cemetery), east of the city center. His work was rediscovered again in 1906 when an exhibition of 32 of his paintings and sculptures was held in Berlin. During the 1920s his work was appreciated by the Expressionists, and in 1930s and 40s, the Surrealists and the Existentialists frequently drew on his work. Today Caspar David Friedrich is seen as an icon of the German Romantic movement, and a painter of international importance.